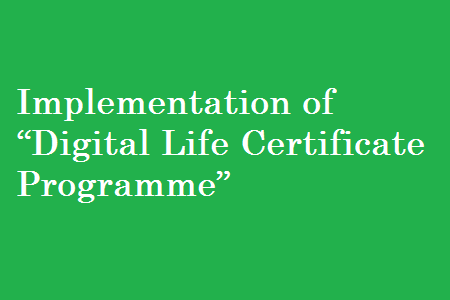 Sub:- Implementation of “Digital Life Certificate Programme” – regarding. Ref:- HQrs Office letter AT/II/2666/NDA-X dated 24/04/2015. 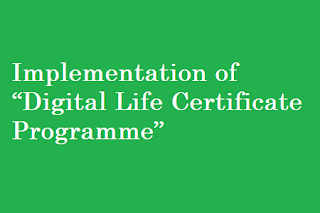 To implement the Digital Life Certificate Programme in respect of Defence civilians and Defence civilian pensioners, it is necessary to get all the pensioners enrolled for Aadhar Card. It is therefore requested to obtain confirmation from the formations/ units whether Defence civilians under their juridictions have been enrolled for Aadhar Card. Please get the data from the units under you jurisdiction and a weakly report may be submitted showing total number of employee enrolled with UIDAI for Aadharr Similar procedure may be adopted for pensioners under their jurisdiction. Desired information may please be forwarded to this office by speed-post/ return fax immediately, to enable this office to submit the information to CDA (IDS) who is a Nodal Office to act as a registrar with UIDAI. According to sources, the 7th Pay Commission has sought for the opinion of the Department of Information and Technology regarding this option. 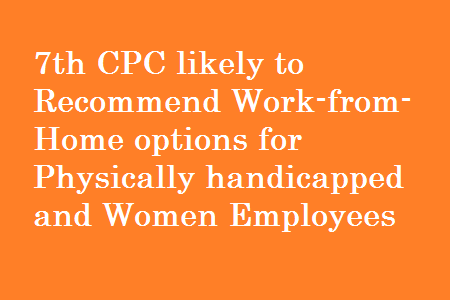 The 7th Pay Commission has asked to study the possibilities of differently-abled and women workers to perform simple and specialized tasks from home and stay connected via the internet and other telecommunication tools. 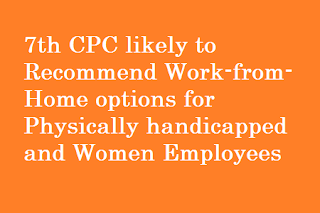 The 7th Pay Commission has asked the Department of Information and Technology to identify such jobs for the less than 10,000 differently-abled workers who are currently employed by the Central Government. Sources also say that Flexi-time Working Hours options are being considered for the more than 3.5 lakh women who are employed by the Central Government. Since it is impossible for both these segments of workers to work during night shifts, the 7th Pay Commission is looking for options to employ them in specialized monetary and supervisory works which could be performed from home. It is being said that the step will be of tremendous relief for employees who have to travel long distance to reach their offices, and for the employees who work in congested offices. It can be inferred that the 7th Pay Commission is particular about giving priority to women and differently-abled workers. Sources say that the 7th Pay Commission believes that greater productivity could be expected from them. It is a well-known fact that telecommuting and work-from-hope options have become very popular in the private sectors and highly specialized tasks are sometimes performed this way. The 7th Pay Commission wants to bring in this work culture to the Central Government jobs too. Meanwhile, news and updates about the 7th Pay Commission continue to flow into the news media. The Commission is very likely to submit its report to the Government by the end of December. Sources say that the final stage of preparing the report is now on. Speculations about 35 percent salary hike, increasing the minimum pay to Rs.21,000, 4 MACP promotions, modernizing the CGHS medical facilities, and most importantly, about the retirement age, continue to surface. Readers are requested to not believe in any of them because all of them are mere figments of the writers’ imagination. 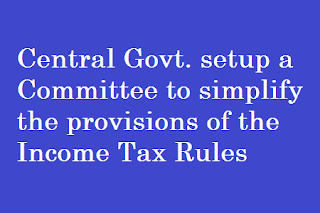 The Committee shall set its own procedures for regulating its work. The Committee can also work in Sub-Groups and the draft prepared by the Sub-Groups can then be approved by the whole Committee. The Committee will put its draft recommendations in the public domain. After stakeholder consultations, the Committee will formalise its recommendations. 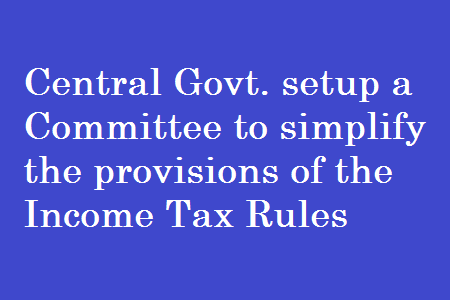 The Committee can give its recommendations in batches. 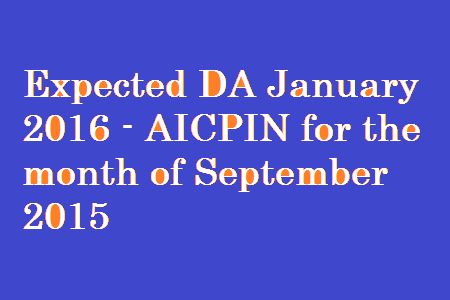 The First Batch containing as many recommendations as possible shall be submitted by 31st January, 2016. The Term of the Committee shall be for a period of one year from the date of its constitution. New Delhi, the 26th October, 2015. 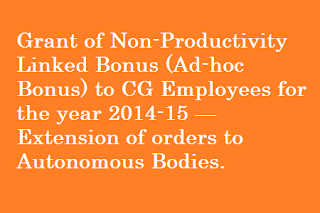 Subject:- Grant of Non-Productivity Linked Bonus (Ad-hoc Bonus) to Central Government Employees for the year 2014-15 — Extension of orders to Autonomous Bodies. Orders have been issued vide this Ministry’s Office Memorandum No.7/24/2007 E-III(A) dated 16th October, 2015 authorizing 30 days emoluments as Non-PLB (Ad-hoc bonus) for the accounting year 2014-15 to the eligible Central Government employees not covered by the Productivity Linked Bonus Schemes, subject to terms and conditions laid down therein. 2. The undersigned is directed to say that it has now been decided that the Non-PLB (Ad-hoc) bonus so admissible subject to the terms and conditions laid down in the aforesaid orders, may be extended to the employees of autonomous bodies, partly or fully funded by the Central Government which (i) follow the pattern of pay structure and emoluments identical to that of the Central Government and (ii) do not have any bonus or ex-gratia or incentive scheme in operation. 3. In case of doubt as to the operation of these orders the clarificatory orders, circulated vide this Ministry’s O.M. No.14(10)E-Coord/88 dated 4.10.88, as amended from time to time, may be kept in view, mutatis mutandis. 4. Any request for funding by the Government to meet the liability on account of Non-PLB (Ad-hoc bonus) in respect of various autonomous organizations would not be considered by the administrative Ministries concerned, as the expenditure on Non-PLB (Ad-hoc bonus) should be met from within the existing budgetary provisions of the respective organizations. While the Autonomous Bodies not funded by the Central Government may also adopt these orders as per their own administrative and financial judgment in respect of their employees, no liability for funding will, in any case, lie on the Central Government on this account. 1. 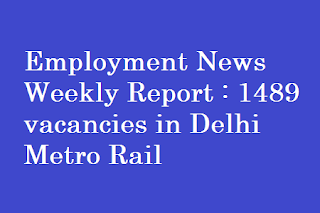 DELHI METRO RAIL CORPORATION LTD, DELHI. Name of Post – Station Controller, Train Operator, Customer Relations, Assistant , Jr. Engineer, etc. 2. EASTERN COALFIELDS LTD, WEST BENGAL. Name of Posts –Mining Sirdar, dy. Surveyor, Overseer. Name of Posts – Assistant Professor, Professor, Associate Professor. 4. HEADQUARTERS SOUTHERN NAVAL COMMAND, KOCHI. Name of Posts – Scientific Assistant. 5. OFFICE OF THE REGISTRAR GENERAL, INDIA, NEW DELHI. Name of Post –Office Superintendent, Stenographer, Senior Translator. Last Date: – Within 60 days from publication of advertisement. Ref: Railway Board’s letter No. E (O) II/2014/PL/05 dated 31.08.2015. 2. Furthermore, it is also desired that, on Divn/Unit two separate priority registers should be maintained, one for registering requests for transfer within the Northern Railway and another for Inter – Railway transfer to other Zones/PUs etc. The aforesaid instructions may be adhered to strictly while dealing with transfer request cases. All Deputy Commissioners and Sub Divisional Officers (Civil) in Haryana. Subject:- Payment of Dearness Allowance to Haryana Government Employees on revised scales of pay i.e. 113% to 119% effective from 01.07.2015. I am directed to invite a reference to Finance Department circular letter No. 4/1/2009-5FR/8555 dated 5th May, 2015 on the subject noted above and to say that the Governor of Haryana is pleased that the Dearness Allowance payable to Haryana Government employees on revised scales of pay shall be enhanced from the existing rate of 113% to 119% of the pay w.e.f. 1st July, 2015. 2. The additional instalment of DA payable under these orders shall be paid in cash to all Haryana Government employees for the month of October, 2015 paid in November, 2015. 3. The payment of arrears of enhanced Dearness Allowance for the month from 01.07.2015 to September, 2015 shall be made in the month November, 2015. 4. Copy of these orders may also be downloaded from the web site www.finhry. gov. in. The Government of India had introduced New Pension Scheme (NPS) applicable to the Central Government employees appointed on or after 01/01/2004. Under the scheme, 10% of the Pay of each employee is deducted from his/her salary every month and equal amount is contributed by the employer and credited to the NPS Trust controlled by the PFRDA. However those who were appointed prior to 01/01/2004 have been covered under “Liberalized Pension Scheme” and their pensionary benefits like Pension, Family Pension etc., are guaranteed by the Government. 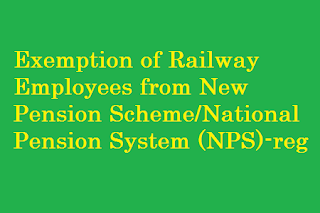 While the New Pension Scheme now being re-named as “National Pension System” is not applicable to Defence Forces, the same had unfortunately been made applicable for Railway employees with effect from 01/01/2004. 2. The duties, responsibilities, risk involved, remoteness, arduous and hazardous conditions of railway employee are akin to that of Army Personnel and therefore NFIR has been urging upon the Government as well the Railway Ministry to exempt Railway employees from New Pension Scheme. The Federation was compelled to take strike ballot on pending demands, among them “Abolition of New Pension Scheme” was one of the most important issues. Responding to the demands, the Railway Board (CRB, MS, FC) had held separate meeting with the Federations on 7’th February 2014, wherein the justification for exempting railway employees from New Pension Scheme was discussed, consequently the Railway Ministry had agreed to approach the Government. Hon’ble MR Shri Mallikarjun Kharge had sent communication to the Finance Minister on 29th March, 2014 explaining case and justifying that the Railways deserves to be exempted from NPS. Unfortunately, there has been no positive decision from the Government till now. 3. In this context, NFIR also brings to your kind notice that the JCM (Staff Side) as well the Federations have decided to launch industrial action as the Government has not responded to the charter of demands of Central Government employees. During the meeting with you on 6th August,20l5, we have also mentioned some of the issues continued unresolved when CRB and Member Staff were present. Railway Board (CRB, NPS & FC) held another meeting with the Federations on lst October 2015 on eight short listed demands which include “Exemption of Railway Employees from New Pension Scheme”. After discussions, the Railway Board has agreed to pursue the case with the Government again. In this connection, NFIR has earlier sent a communication with full details to the Railway Board (MS) vide letter No. IV/NPS/PFRDA BILL dated 26/08/2015 (copy enclosed) to facilitate Railway Ministry to prevail upon the Government to grant exemption to Railway from NPS. Federation is confident that the Railway Ministry is taking necessary action on the inputs given by the NFIR for presenting the case before you. ln view of the above, NFIR invites your kind attention to the communication dated 29th March 2014 of your predecessor (Shri Mallikarjun Kharge) to the Finance Minister and in-puts given by the Federation vide letter dated 26/08/2015 for taking special initiative at the level of Government for exempting Railway employees from “New Pension Scheme” (NPS) as a special case. This amendment in the Act to increase wage ceiling and bonus calculation ceiling was one of assurance given by the Centre after 10 central trade unions went on one-day strike on September 2. 1. As per extant/present instructions for undertaking journey on Tatkal tickets, the passenger at the time of booking a ticket from PRS Centre has to provide a photocopy of identity card which he/she will carry during the journey. The number of this identity card is indicated on the ticket as well as reservation chart and during the journey the passenger has to carry the same original proof of identity failing which he/she is treated as travelling without ticket and charged accordingly. Similarly, in case of passengers booking ticket through internet, the number and type of identity card to be carried by the passenger during the journey is indicated at the time of booking of ticket and the passenger has to carry the same original proof of identity during the journey failing which all the passengers are treated as travelling without ticket and charged accordingly. 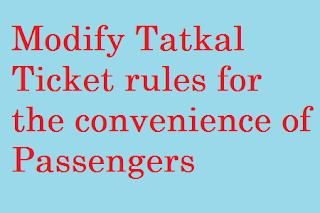 This provision has been done away to facilitate passengers to buy Tatkal tickets since it is possible that a person may be booking ticket for his parents (aged) /children who are staying in a different city (hostel) and may not have photocopy of their photo identity card. Now it would be possible to book tickets in such situations. However, the requirement of the passenger to carry one of the permitted photo Identity Card in original to prove his identity at the time of travel continues to ensure there is no misuse. 2. Presently the number given in the identity card has to be entered while generating the Tatkal ticket. This is increasing the transaction time. The transaction time for individuals booking through PRS and internet is getting increased due to requirement of entering the identity card number while the agents are able to book faster using scripting software and thereby getting unfair advantage. By doing away with entering the identity card number, the transaction time is reduced. Further in case the identity number is wrongly typed by the railway clerk and found to be not tallying with the original identity card number, the TTE has no discretion but to treat the passenger as without ticket. There have been reports of passengers having suffered due to this problem. The proposed modification solves this problem. 3. Presently if the passenger is carrying a valid photo-identity card (Aadhaar Card/Passport/Driving Licence/PAN Card etc.) but is not the same as mentioned in the ticket at the time of booking the passenger will be treated as without ticket. Many complaints have been received in this regard where the passengers to continue travel had to pay the fare of the ticket plus penalty for not showing the same photo-identity card as mentioned at the time of booking. In case the passenger misplaces the identity card mentioned in the ticket but is carrying any of the other identity card in the prescribed list the present system will treat him as without ticket. A large number of uneducated, senior citizen, women and people from rural areas were getting affected due to this rule. This was also highlighted by Hon’ble MPs in various meetings of the Parliamentary Standing Committee. This issue will also get resolved under the proposed changes. 4. Presently in case of normal (non-Tatkal) ticket a passenger can travel by showing anyone of the 10 prescribed proof of identity in original. For Tatkal it was restricted to only the identity proof mentioned in the ticket at the time of booking the ticket. 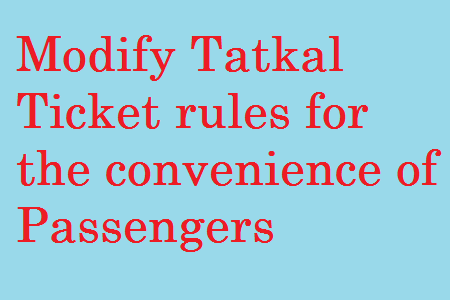 This anomaly has now been corrected in the proposed changes and the Tatkal Ticket holder can also travel by showing anyone of the ten prescribed proof of identity. 5. In a nutshell, even after the modified rules, there is no dilution on proving identity at the time of travel by showing the original photo-identity card. The proposed change is only to facilitate easy booking of Tatkal tickets by correcting existing anomalies. New Delhi: Seventh Pay Commission is likely to recommend to reduce “Grade Pay” and to stay “MACP” systems for central government employees, which was recommended by the sixth pay commission in 2006. The Pay panel sources today said the Seventh Pay Commission is considering reducing the provision of Grade Pay and staying Modified Assured Career Progression (MACP) Scheme for the central government employees. Grade Pay was derived from USA and it has increased in prominence in the early 21st century in USA. Federal employees in USA at all levels are paid based on Grade Pays. The six pay commission followed them. “Central government has 15 grade pays now from Rs 1,800 to Rs 12,000 for job level pay variance of its employees. Generally, multi tasking staff (MTS) and clerical jobs that require formal education, just a high school or higher secondary, who are at are at the lower levels from grade pays 1,800 to 2,000. One common factor in the grade pays 2,400 to 12,000 that’s where bachelor’s degrees are required for jobs in non-technical and non-scientific departments. Hence We decided to reduce grade pays from 15 to 10,” the sources added. A grade pay is a structured pay format where employees are placed at a given pay level based on their level of education and work experience related to the position. “Every employee does not get promotion in time. So, if Modified Assured Career Progression (MACP) Scheme is not maintained it will be seriously affected,” the official said. The MACP provides central government employees upper grade scale when they do not get promotion in time. Accordingly, the sources said the Modified Assured Career Progression (MACP) Scheme is likely to be kept the current status quo. The Seventh Pay Commission, headed by Justice A K Mathur, was appointed by the previous UPA government in February 2014 and its recommendations are scheduled to take effect from January 1, 2016. Meena Agarwal is the secretary of the Commission. 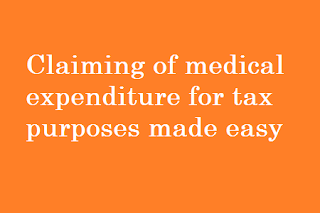 Other members are Vivek Rae, a retired IAS officer of 1978 batch and Rathin Roy, an economist. The Seventh Pay Commission was appointed for 18 months, its terms was extended in August 2015 by four months till December 31, 2015. As part of the exercise, the Commission holds discussions with various stakeholders, including organisations, federations, groups representing civil employees as well as Defence services. 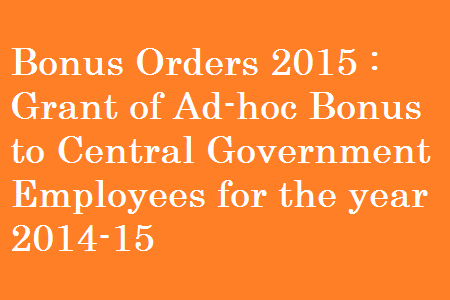 Workforce of the country has another reason to cheer in this festive season as the Narendra Modi-led government is set to promulgate an ordinance to amend Payments of Bonus Act 1965 to make more employees eligible for annual bonus. 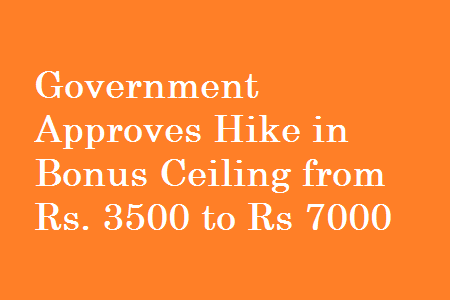 Ministry of Labour has hinted that the ceiling of Bonus is likely to be hiked from the current ceiling of Rs.10,000 (basic + DA) per month to Rs.21,000 (basic + DA) a month. After the Bihar elections Union Cabinet may discuss about this ordinance to amend Payments of Bonus Act 1965 to make more employees eligible for annual bonus. 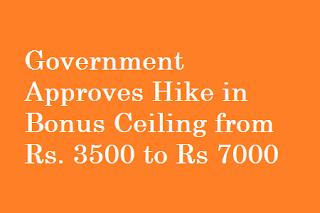 If the Ordinance is approved, those earning up to Rs.21,000 (basic + DA) a month will now be eligible bonus. 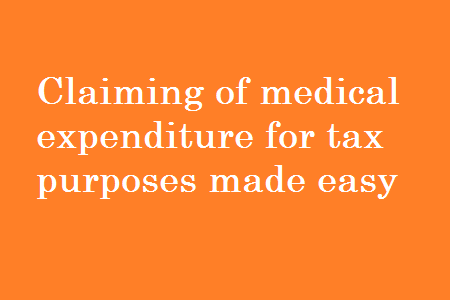 This would be a steep jump from the current ceiling of Rs.10,000 (basic + DA) per month. The government is already in the process of revising the minimum wages. The Election Commission has approved the Labour Ministry’s proposal and the Union Cabinet is likely to take up the issue on promulgating ordinance next week. From this year onwards, bonus will be linked to minimum wages. Ministry in a recent meeting with trade unions said that the government agreed to amend the Bonus Act by enhancing the eligibility ceiling under section 2(13) of the Act from Rs.10,000 per month to Rs.21,000 month. It also agreed to calculate ceiling under section 12 from Rs.3,500 per month to Rs.7,000 per month, or the minimum wage notified by the government for the category of employment. All the trade Unions demanded the abolition on ceiling on payment of bonus due to rising inflation, the Government rejected it. BSNL mobile subscribers will soon be able to avail free calling benefits offered on their landline phone as the state-run firm is going to roll out a convergence platform that will sync subscribers’ mobile and fixed line connections. “The sync between the two accounts will be such that it will enable our subscribers receive their landline calls on mobile phones,” Shrivastava said. BSNL has invested over Rs 400 crore to modernise its landlines. The company slipped to sixth position in terms of overall subscriber base in April. At the end of August, BSNL’s total subscriber base was around 7.8 crore. After a long period, BSNL in July and August 2015 ranked among top five mobile players in terms of net addition of monthly subscribers. BSNL, however, has been losing customers in landline space despite offering free night calls from landline to any phone in India. The company has launched free roaming scheme which enables its subscribers to attend free incoming calls while travelling anywhere in the country at no extra cost. “Free roaming scheme has become one of the major growth drivers for uptake in mobile subscriber number,” Shrivastava added. The company is also in the process to tie up with Hitachi’s ATM business unit which will allow its landline customers, who pay bill offline, to make payment anytime during the day. Recently the news about retirement age is blown out of proportion in Social Media. In Social Media it has been signaled casually that the retirement age will be brought down to 58 years. Initially it was said that 7th pay commission going to recommend the criteria for retirement age as either 33 years of Service or 60 Years of age whichever comes first. And gradually it is reduced to 58 years of age or 33 years of service and finally ends up with 30 years of service or at the age of 55 years. Does it worth to believe the news circulated in social media about 7th pay commission recommendation and retirement age..? We asked the Federation sources about this and they want to maintain anonymity told that it depends upon the individuals to decide whether it is true or not. We should not blame the media for everything. We should be able to know the difference between the news and rumors. One of our Sources told that revising the retirement age will not fall under the purview of Pay commission. It should be decided by central government only. No Pay commission has recommended anything about Retirement age so far. Federation Leaders were asked about this retirement age issue, when it became sensational in Print and e-Media, why don’t they come forward to clear the doubts on this sensational issue?. They told that they didn’t want do give importance to the rumors and hear says. “As far as retirement age is concerned we know that 7th pay commission cannot recommend revising the retirement age of central government employees, since it does not fall under the purview of 7th Pay Commission. Even we won’t accept it if the central government tries to reduce the retirement age,” the sources added. The undersigned is directed to Say that consequent upon coming into force of the CCS(RP) Rules, 2008, which were notified on 298.2008 but are effective from 1.1.2006, fixation of pay on promotion on or after 1.1,2006 is carried out as per Rule 13 thereof. 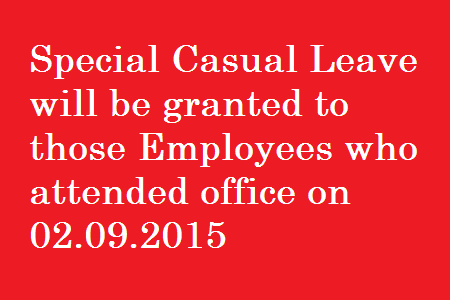 This Rule is invoked only in cases of promotion from one Grade pay to another in the revised pay structure. (i) The promotion had taken place between 1.1.2006 and the date of notification Of CCS(RP) Rules, 2008 as per the Recruitment Rules then in vogue, which clearly provided for such posts being promotional grade for the feeder grade from where the promotion took place and where the posts were subsequently merged in a single post/grade consequent upon promulgation of the CCS(RP) Rules, 2008. (ii) FR. 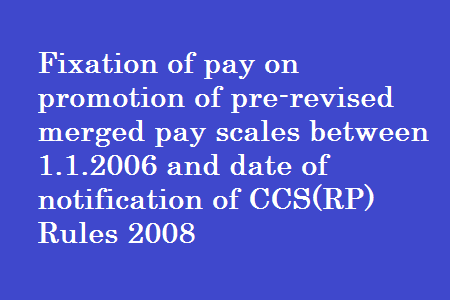 22 (r) I), which was applicable for fixation Of pay on promotion before promulgation of CCS(RP) Rules, 2008, was invoked for fixation of pay in these cases in the pre-revised structure during the period between 1.1.2006 and the date of notification of the CCS(RP) Rules 2008. 7. This order applies only in case of promotions carried out in the pre-revised structure during 1.1.2006 and the date of notification of CCS(RP) Rules, 2008. Thus, the benefit of Rule 13 of CCS(RP) Rules, 2008 would not apply in Cases of appointment to the post which was in the higher pay scale in the pre-revised pay structure, where such appointment is made after the date of notification of CCS(RP) Rules, 2008. 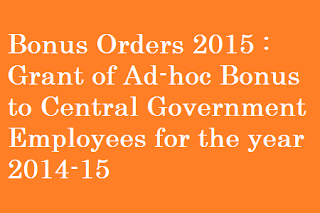 Bonus Orders 2015 : Grant of Ad-hoc Bonus to Central Government Employees for the year 2014-15. 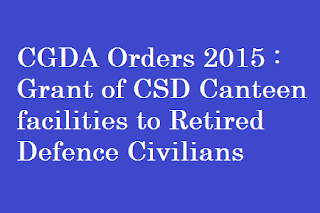 Subject: Grant of CSD Canteen facilities to retired Defence Civilians. 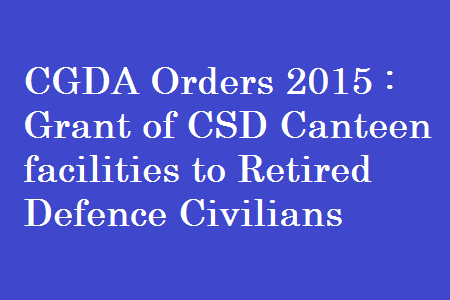 The competent authority has nominated Shri.T.K.Jajoria, IDAS, Sr.Dy.CGDA (AN) as the nodal officer to countersign the application form received from the IDAS Officers/DAD Employees who have retired from MoD (Fin.) / CGDA Office. The other IDAS Officers retired from Delhi or settled in Delhi, post retirement, may also get their application form countersigned from Shri.T.K.Jajoria, IDAS, Sr.Dy.CGDA(AN) or any other Nodal Officer appointed by the respective PCsDA/CsDA. 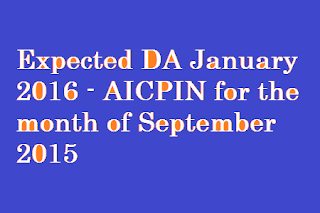 The Notification is available on the website of the Income Tax Department www.incometaxindia.gov.in . The Union Cabinet chaired by the Prime Minister Shri Narendra Modi, has approved Upgradation of existing NIFT Campuses for implementation of reservation for OBC students – extension of timeline for utilization of fund. With this, extension of timeline is effective for utilization of balance available fund of Rs. 90.13 crore, by two years beyond 31.03.2015 that is upto March 2017. This will enable upgradation of facilities for implementation of OBC reservation in NIFT and operating the campuses more effectively and efficiently. The NIFT was set up by the Ministry of Textiles in the year 1986 as an autonomous society under the Societies Registration act, 1860 for imparting quality education in fashion technology. NIFT has been running full time Degree programmes through its fifteen campuses located at different parts of the country. The scope of the scheme for upgradation of existing NIFT Campuses and implementing reservation for OBC students is to create additional infrastructure facilities at existing NIFT campuses, construction of additional class rooms, laboratories, hostel accommodation for students, purchase of machinery and equipments etc. At present the State Government employees may avail themselves of the benefit of Leave Travel Concession once in service career during the period of five years preceding the actual date of retirement on superannuation for the following kinds of journeys, subject to the conditions as in this department’s Memo Nos. 9924-F dt. 07.12.2005 and 607 -F dt. 20.01.2006. 2. For journeys to any place of India and back. The employees who have been duly permitted to retire voluntarily are also allowed to avail of the above benefit before their such retirement. The present provisions of admissibility of Leave Travel Concession have been under consideration for review for sometime past. Now, after careful consideration of the matter, the Governor has been pleased to decide in partial modification of this department Memo. No. 9924-F dt. 07. 2.2005 read with Memo. No. 607-F dt. 20.01.2006 to allow the following benefits to the State Government employees instead of journeys on LTC as mentioned at (2) above. 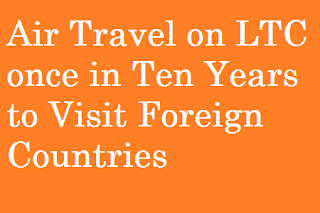 (b) One LTC once in ten years to visit any place in the neighbouring countries, namely, Thailand, Singapore, Malaysia, Myanmar, Sri Lanka, Bangladesh, Pakistan, Nepal, Bhutan and Maldives or within the Country. (i) If the spouse of the Government employee is also a State Government employee, the benefit can be availed of either by husband or wife as a one family unit and in that case undertaking shall be submitted by the other that no such claim will be preferred from his/her office and this should be recorded in his/her Service Book. (ii) If the spouse of the State Government employee is employed in Central/Central PSUs/Corporation/Autonomous Body, the benefit can be availed of either by the husband or wife employed under the State Government as one family unit from the State Government provided no benefit of LTC can be availed of by the other from the Central/Central PSUs/Corporation/ Autonomous Body and in that case letter from the employer there in this respect that he/she has given such undertaking there shall be produced before availing of the above benefit. (iii) If the spouse of the State Government employee is employed in the State PSUs/Corporation/Non-Government aided Institutions/Autonomous Body where facility of LTC does not exist, the spouse of the Government employee may avail of this benefit along with the Government employee a a member of the family on the condition that declaration to his/her controlling authority shall be furnished that in future he/she will not enjoy the benefit of LTC, if the same is extended in the organization/institution as above in future. Other conditions regarding admissibility of the benefit will be as in Finance Department Nos.9924-F dt. 07.12.2005 and 607-F dt. 20.01.2006. For the purpose of availing of LTC in foreign countries as mentioned at SI. No. (b) above, the same can be availed of by air in economy class from the nearest international airport of the country on the condition that journeys will have to be performed either by national carrier or private airlines of the country. The part of the journeys to and from the airport will be as per provision in the existing orders. For journeys in the foreign countries as mentioned above orders issued by the P&AR Department are also to be followed. This will take effect from 01.11.2015. MACP Anomalies meeting held between the Railway Board (Executive Directors) and the Federations-reg.